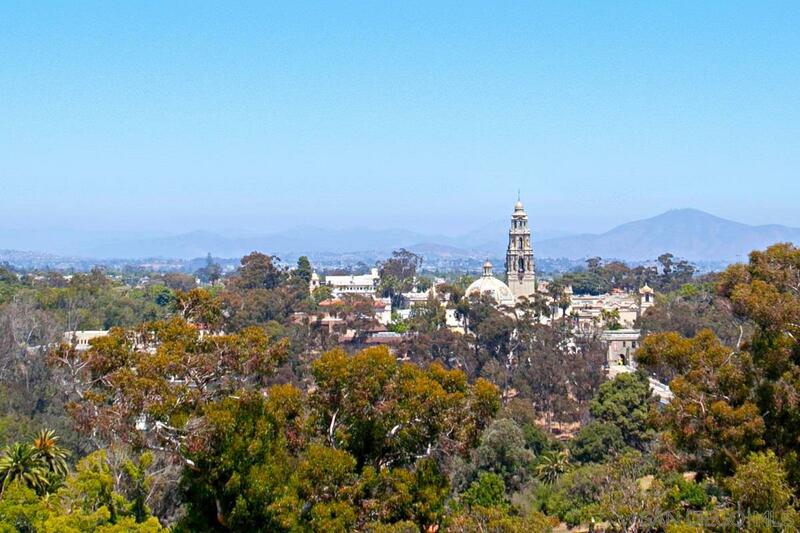 Striking panoramic views of San Diego's landmark Balboa Park, the mountains, and North East San Diego enhance every room in this stunning condo. Delight in the adventure of living in the prestigious luxury high rise, Park Laurel, while enjoying delightful walks to the entertaining Balboa Park for concerts, museums, plays, gorgeous gardens, street artists and the San Diego Zoo. Enjoy festivals, parades, or pack a picnic and relax while people watching. Luxury and entertainment at its very best!, The breathtaking views overtake you as soon as you exit your private elevator lobby into the foyer. Then enter a great room where you will be mesmerized by views from every angle. This extraordinary unit features rich hard wood floors, elegant cabinetry, and custom lighting. The chef's gourmet kitchen offers top of the line Viking appliances, upgraded counter tops, granite counter tops, trash compactor and two wine refrigerators. Wake up in your luxurious master suite to the gorgeous view of Balboa Park and enjoy your morning coffee on the sunrise balcony. The elegant master bathroom offers upgraded travertine flooring, dual vanities, extra-large shower with designer travertine tile surround, and relaxing whirlpool soaking tub with more stunning panoramic views to the south. A large walk-in closet with custom organizers rounds out this impressive master suite. The guest bedroom is spacious and enjoys views of the city and park. There are three parking spaces and storage closet in underground garage. The amenities include 24-hour security and concierge to attend to your needs, business center, fitness room, community lounge, pool/spa, BBQ area, outdoor clubhouse, and conference room. Views are protected by an airport overlay zone. Bankers Hill is swiftly growing into one of the most desirable urban areas in San Diego which makes this an extraordinary living experience!